Never Mind The White Dress, Turns Out Emily Dickinson Had A Green Thumb Archaeologists are working to unearth the poet's original gardens and bring the homestead back to its natural state. The hope is to revive the plants and flowers she vividly described in her poetry. Emily Dickinson was a lifelong gardener. 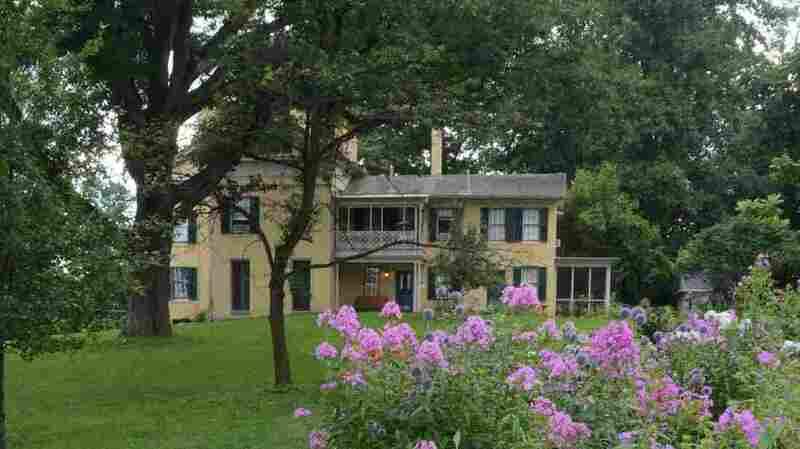 Now, archaeologists are working to unearth the poet's original gardens and bring her Amherst, Mass., homestead back to its natural state. Above, a gardening day at the homestead. 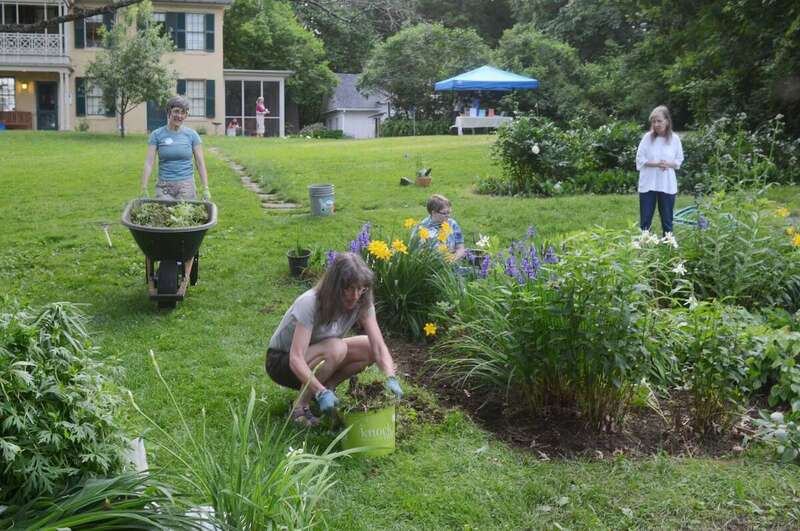 With the new gardening initiative, the Emily Dickinson Museum aims to depict "a more three dimensional" view of the famous poet. Dickinson is known for living a quiet, reclusive life but she was also an avid botanist — and her museum is hoping that, by recreating the grounds where she lived, her fans will gain new insight into her inspiration. Jane Wald, director of the Emily Dickinson homestead, wants people not just to read Dickinson's celebration of nature, but to experience it. So why not recreate the poet's physical surroundings, fleshing out her typically dour image? The aim is to portray Dickinson in "a more three dimensional existence," Wald explains. The museum is working with archaeologists from the University of Massachusetts to help reconstruct the 14-acre grounds just as they appeared during Dickinson's lifetime — from the family barn, to Emily's outdoor flower beds. Last year, the museum recreated the family's heirloom apple and pear orchard — which had been replaced long ago by a tennis court. Next, they'll recreate a glass conservatory — the greenhouse where scholars believe Dickinson composed many of her almost 1,800 poems. It was dismantled in the early 20th century, but pieces remain underground. 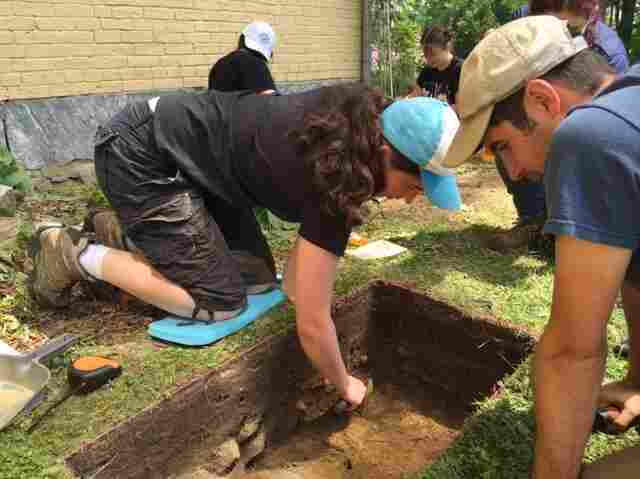 University of Massachusetts archaeologist Kerry Lynch leads the team of students and professionals, who kneel with trowels, scraping out several test pits, in a grassy area just outside the dining room window. So far, they've unearthed a few layers of foundation that will help determine how big to build the new conservatory. University of Massachusetts archaeologists are excavating the ground just outside Dickinson's yellow brick house to learn more about the conservatory that once stood there. Above, archaeology student Kate Barvick and program co-director Dan Zoto. After the conservatory is built, the museum will need to fill it. Wald says they're looking for the 19th century varieties of flowers and plants Dickinson would have smelled and touched, including exotic species that explorers brought back, like resurrection calla lily, cape jasmine and oleander. Dickinson declared that she only had to cross the floor to be in the spice isles — a sign, Wald says, that even if the poet rarely left her home, she welcomed the world — at least the natural world — to come to her. By November, the conservatory should be open to the public, and by summer 2017, after the archaeologists dig for seed remnants and old plant stems, visitors may be able to roam among varieties of asparagus, corn and beans that made up the original Dickinson vegetable garden. 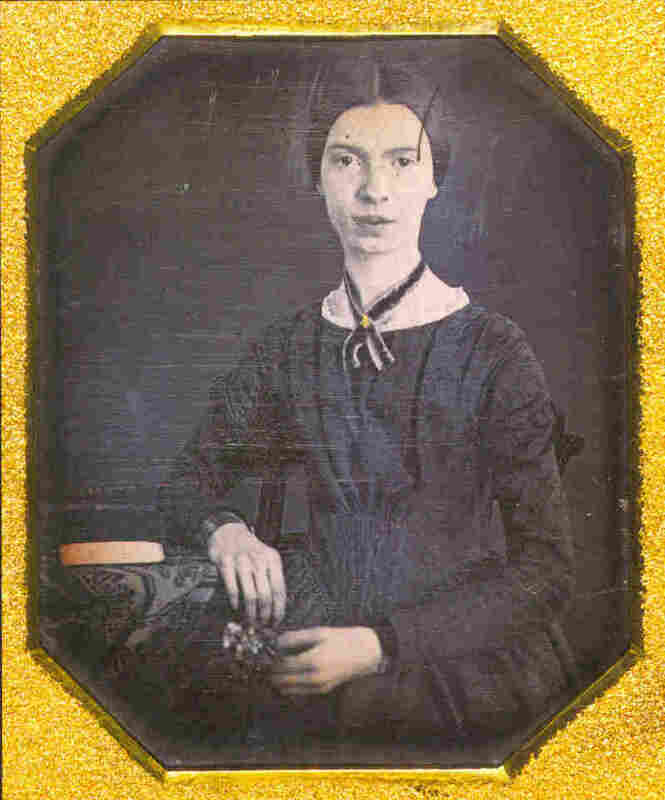 Dickinson vividly described flowers and plants in her poetry. Click here to read her poem, "It will be Summer — eventually."